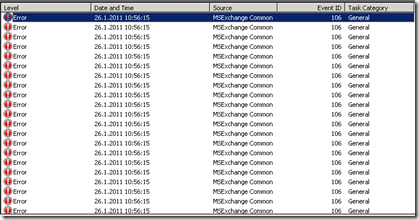 All errors are from Performance counter category name MSExchange RpcClientAccess. Performance counter updating error. 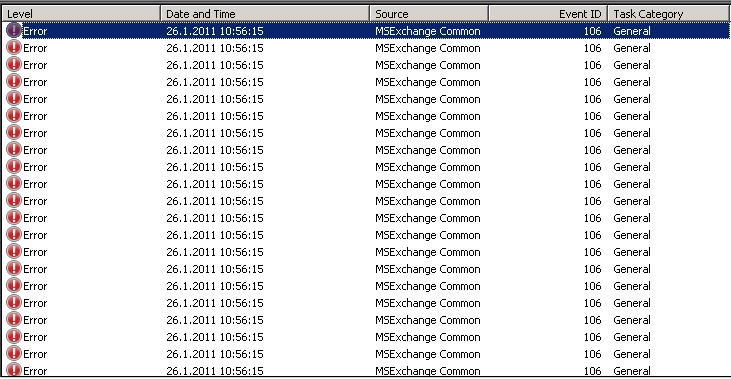 Counter name is RPC Requests, category name is MSExchange RpcClientAccess. Optional code: 3. Exception: The exception thrown is : System.InvalidOperationException: The requested Performance Counter is not a custom counter, it has to be initialized as ReadOnly. Last worker process info : System.UnauthorizedAccessException: Access to the registry key 'HKEY_LOCAL_MACHINE\SOFTWARE\Microsoft\ExchangeServer\v14\Transport' is denied. [PS]C:\>New-PerCounters -DefinitionFileName "C:\Program Files\Microsoft\Exchange Server\V14\Setup\RpcClientAccessPerformanceCounters.xml"